Manpreet Singh of India runs with the ball during the match between Netherlands and India on day ten of The Hero Hockey League World Final at the Sardar Vallabh Bhai Patel International Hockey Stadium on December 06, 2015 in Raipur, India. Sardar Singh captain of India runs with the ball during the match between Netherlands and India on day ten of The Hero Hockey League World Final at the Sardar Vallabh Bhai Patel International Hockey Stadium on December 06, 2015 in Raipur, India. Rupinder Pal Singh of India celebrates after he scores to win the penalty shoot out for third place during the match between Netherlands and India on day ten of The Hero Hockey League World Final at the Sardar Vallabh Bhai Patel International Hockey Stadium on December 06, 2015 in Raipur, India. Valentin Verga of Netherlands vies with Devindar Walmiki of India during the match between Netherlands and India on day four of The Hero Hockey League World Final at the Sardar Vallabh Bhai Patel International Hockey Stadium on November 30, 2015 in Raipur, India. 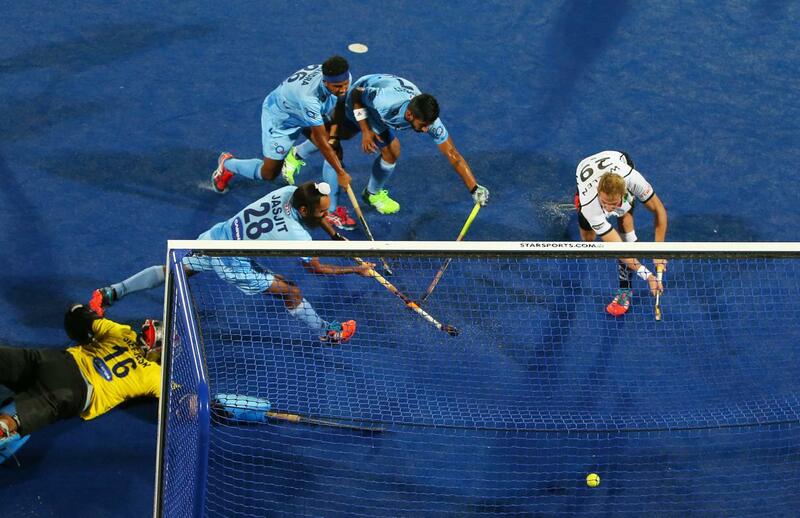 Niklas Wellen of Germany scores during the match between Germany and India on day two of The Hero Hockey League World Final at the Sardar Vallabh Bhai Patel International Hockey Stadium on November 28, 2015 in Raipur, India. Devindar Walmiki of India shoots at goal during the match between India and Belgium on day nine of The Hero Hockey League World Final at the Sardar Vallabh Bhai Patel International Hockey Stadium on December 05, 2015 in Raipur, India. 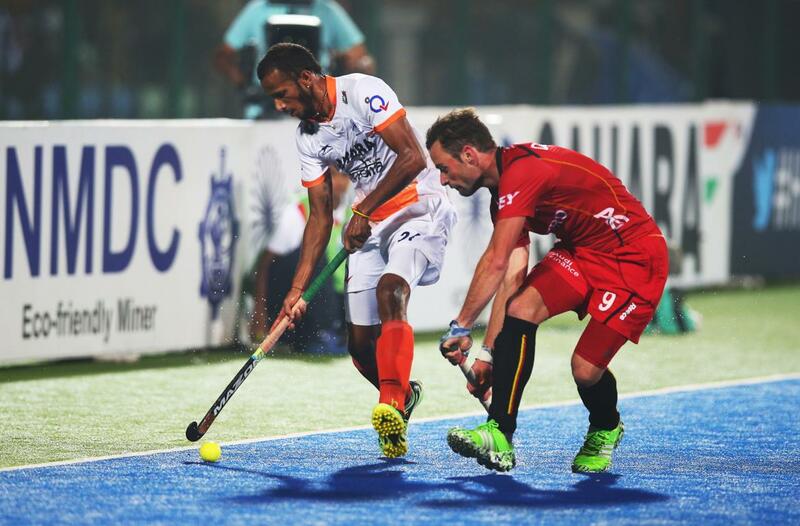 Sunil Sowmarpet of India vies with Sebastien Dockier of Belgium during the match between India and Belgium on day nine of The Hero Hockey League World Final at the Sardar Vallabh Bhai Patel International Hockey Stadium on December 05, 2015 in Raipur, India. 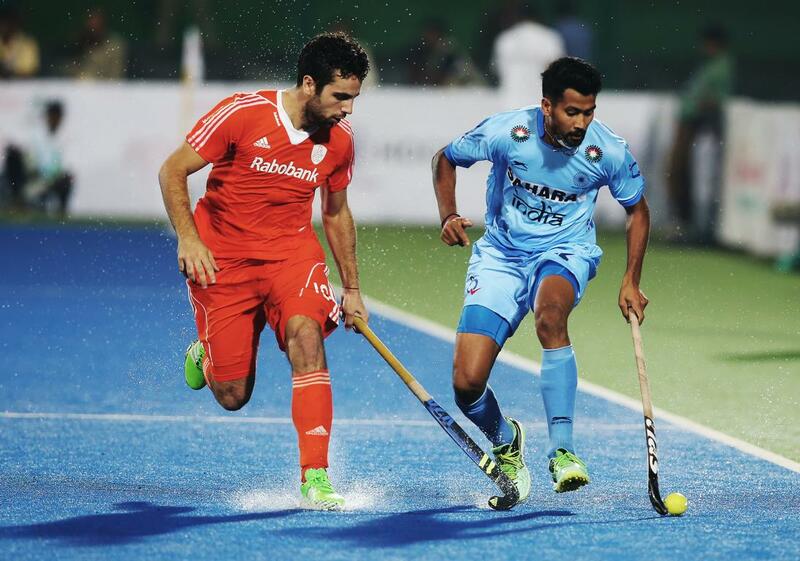 ardar Singh captain of India controls the ball during the match between India and Belgium on day nine of The Hero Hockey League World Final at the Sardar Vallabh Bhai Patel International Hockey Stadium on December 05, 2015 in Raipur, India. 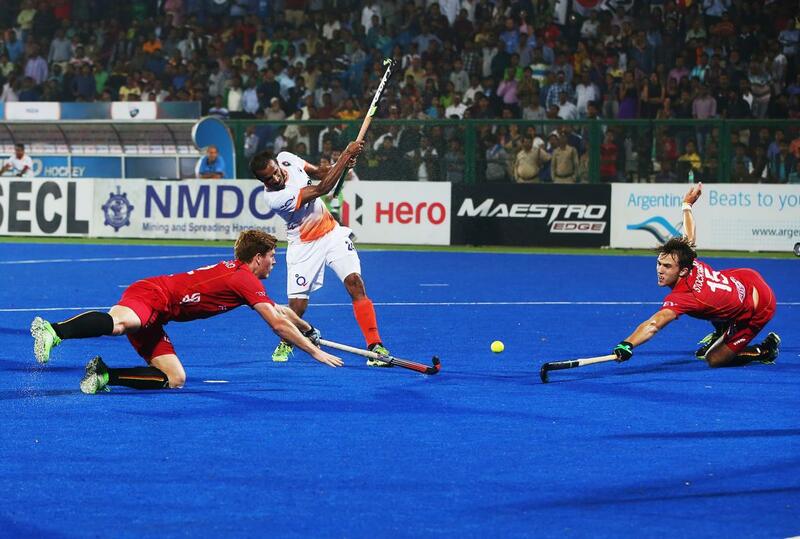 Rupinder Pal Singh of India controls the ball during the match between Netherlands and India on day four of The Hero Hockey League World Final at the Sardar Vallabh Bhai Patel International Hockey Stadium on November 30, 2015 in Raipur, India. 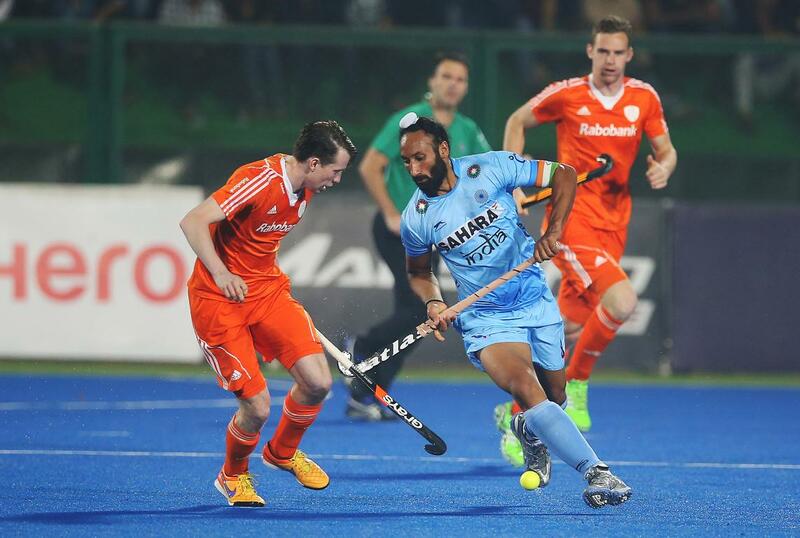 Sardar Singh captain of India strikes the ball during the match between Netherlands and India on day four of The Hero Hockey League World Final at the Sardar Vallabh Bhai Patel International Hockey Stadium on November 30, 2015 in Raipur, India.